2019: BERNINA is the World's largest privately-held sewing machine company ,operated by the same family for five generations. It has a history rich in industry innovations, quality & dedication to service, BERNINA has truly lived up to the pinacle that is the company's namesake, PIZ Bernina(Mount Bernina) in Switzerland, the highest summit the Eastern Alps. BERNINA was founded in Switzerland in 1893, and is the world's largest privately-held sewing machine company, The first Hemstitch sewing machine was invented and built by Friedrich Gegauf(1860-1926). He settled in Steckborn in 1886 and in his mechanical workshop( a building of the former Christian Nunnery) produced monogram embroidery units of his own invention. At the instigation of an embroidery concern, he built the first hemstitch machine which quickly found world wide recognition. "GEGAUFEN" was the term used meaning mechanical hemstitching. The demand for hemstitch machines dropped off, however, towards the end of the 1920's, artificial silk, which was unsuitable for hemstitching had begun its triumphal progress. The business now carried on under the company of Fritz Gegauf Sons, had to enlarge its production program. New workshops were built in 1928/29 on Seestrasse, the present location of the factory. By 1932 the machine had been fully developed and it was given the trade name BERNINA and was manufactured in small quantities. Model 105 was the first BERNINA sewing machines and was noted for its quiet running and high capacity. The policy of producing a quality sewing machine had justified itself and continued to justify itself with the introduction of later models. These models became better and more perfect year by year in keeping up with technical progress. Within a few years, BERNINA ranked among the leading producers of domestic sewing machines. Model 117 in 1938 was the first Zig-Zag machine. After 1944, however, when production of the first electric FREE-arm ZigZag sewing machine in the world had commenced at Steckborn, development went ahead. Model 125 was the first portable zig-zag machine and made the name BERNINA famous throughout the world. After that, about every 10 years a new top of the line was introduced, 530,730/830/930. BERNINA's slogan is: "Stepping into the future with the quality of the past"
It is still owned by the same family that started it, working on the fifth generation. BERNINA is the world's premier manufacturer with a proven reputation for offering state-of-the-art sewing and embroidery systems, sergers, and embroidery software. BERNINA's leadership is marked by an impressive number of industry leaders, influencers and artisans who chose to partner with the company. 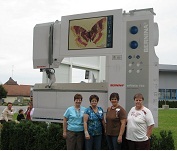 BERNINA products are sold in the United States through a network of approximately 400 independent dealers. Each is offered excellent training so that they in turn can service their customers with the highest level of education. 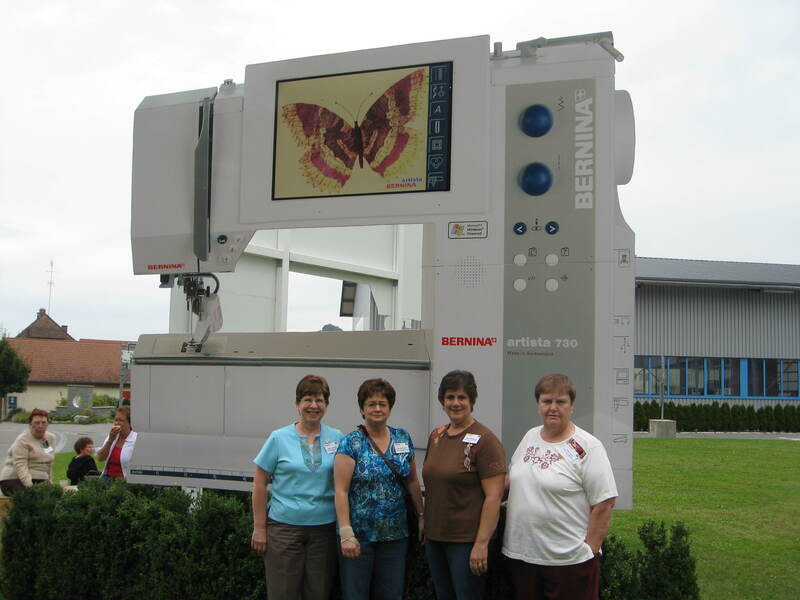 In 2008, the company introduced the revolutionary BERNINA 830, a machine designed to change the home sewing industry. In 2013, the 880 was introduced following in the path blazed by the 830E. In 2012 the new BERNINA "9" bobbin(huge) was introduced and is now found in both the 7 series 5 series & 4 series machines. It is FANTASTIC. BERNINA has always been at the beginning, never the end. 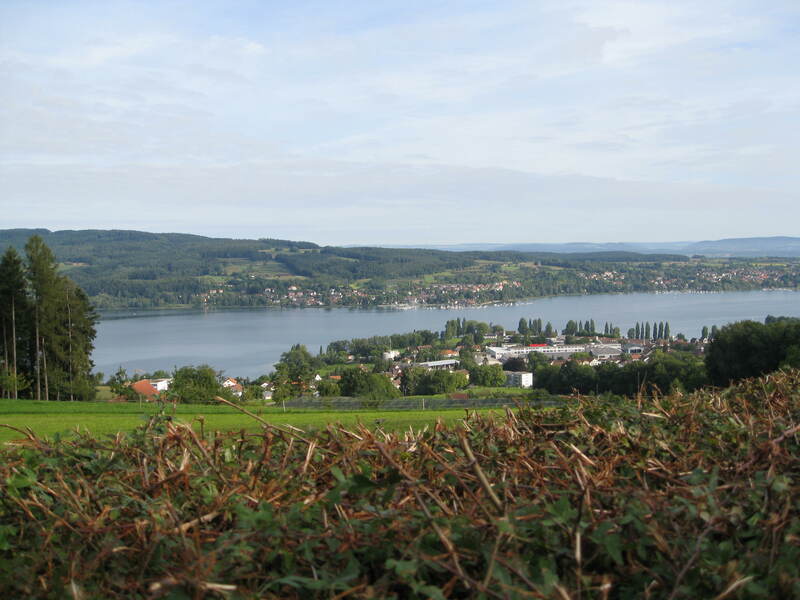 The BERNINA factory is located on the shore of Lake Constance, just across from Germany. 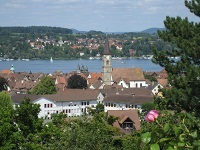 Steckborn is a small town of about 5000 people and many of the people work for BERNINA.